I try hard to alternate what I write about, but really, much of this space is dedicated to my family, because, well, they are my family, and I like writing about them. It is also an easy way to keep friends and family who really are interested in updates in the loop. If that is not you, my apologies! 1 1/2 weeks ago, we dropped this kiddo off a million miles away from home. Ok, it is only 845 miles, but it feels like a million when you are stuck in a car for 13 hours. Especially when you have car rides like the one we had. Don't even get me started. I entertained drove my FB friends crazy for THAT car trip. All million hours. Starting to see a theme? She is doing great. We knew she would. This is her lovely roommate whom she adores (and we do too!). What a blessing to come back to a safe place with someone that you love and can share life with at the end of the day. These lovelies have become her tribe and we are thrilled that she has found people that she loves! Makes my momma's heart so happy! On top of that I got a text one day from her that said I WAS CALLED BACK! Theater groupies know that is a good thing. As a freshman, a callback alone is a great way to start your college musical theater career! She was cast as THE female understudy. Yep, that means for all 6 female parts. So she will learn all the female characters' songs and dialogue and be able to go on as any part if needed. It is an amazing way to start and learn. There is also a rumor that she is now the assistant stage manager. We are thrilled and so is she. As far as the rest of college life, I think it pales in comparison to the theater side of things, but she does actually go to a few other classes (haha) and is adjusting well. 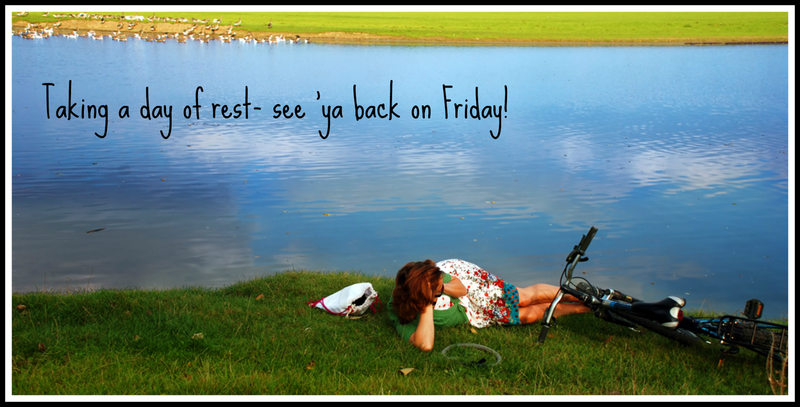 We kind of tried to fool ourselves into calling this past week and a half a vacation. I mean, after all, we have driven long distances, eaten out a lot, and spent a lot of time in the car. We drove two days to drop Riley off at school, one day to our hometown where I have been taking care of my mom as she recovers from a knee replacement, and now we are on our second day of traveling to head home. But some of us did have a little fun. The boys went swimming, some shopped, hung out at the family farm, and visited with family. Mom and I had fun with physical therapy. She is doing great, don't let her tell you otherwise. It is hard work though! Very hard work. As you may know, I am currently playing nurse for my mom for a week while she recovers from a total knee replacement. The good news, and I really mean GREAT news, is that she handled surgery well. This is big for her, as her past history of surgery has been pretty bad. This time around they did a spinal instead of using anesthesia, which eliminated most of her issues. She does not take pain meds well, so she did have to battle some pretty severe reactions to that, but once the nurses figured out the right combination things greatly improved. The bad news- surgery stinks. No matter what. It messes with your body and mind. So this is where we are at. Working hard to heal her body and keep her entertained to help her mental state. I will not go into details, but she is on a pretty regimented schedule. Thanks to me. You are welcome, mom. 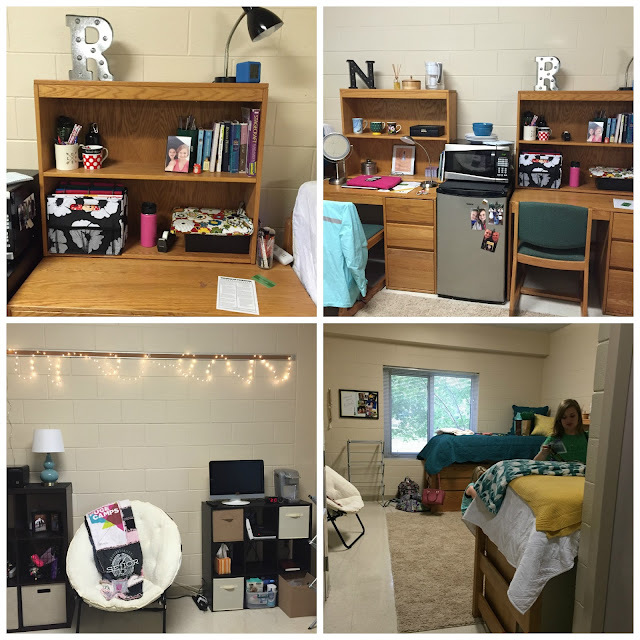 Everything is written down and the drill sargent has moved in. I told her when I left we could facetime during her physical therapy. She told me no need, she would still be hearing my voice. Physical therapy is hard to do and hard to watch. Except for the cat. He enjoyed the show. Well, then it must have worn him out because he chose to sleep afterwards. Then he moved for a better view. Yes, on the ice pad. Yes, on top of the potty chair. At least it provided laughter! Plus this cat has decided to protect mom at all costs. You should see the looks I get from him! As far as laughter goes, oh how I love my family! They have popped in a few times and kept us in giggles. Seriously! That plus a silly video I shared with mom. I hate linking stuff but if you go to YouTube and search Sarah help me, you can laugh too! Go ahead, it is worth it! Laughter is so good for us!! Tonight, it is funny movie time! Thanks for all the prayers and encouragement you have sent our way. They have been felt and much appreciated. Riley is now at school. I think this is where some epic music should play, but well, not sure how to do that so just imagine. Drop off was amazing. And overwhelming. And long. And well, a lot of things. Praise the Lord we will see her in about 7 weeks for Fall Break. I can do anything for 7 weeks. So can she, although I am slightly less worried about how she will do. Me on the other hand...I will let you know! And just for the record, no, this does not get easier with each child. I know "they" tell you that. I will leave you with pictures for now. Thoughts and stories will have to wait! Marlin- But what if they're not ready? I mean how do you know? Then you gotta let 'em go, you know!? Crush- When you're raising sons and daughters, it's like surfing the muddy waters, oh oh oh, go with the flow! 1- On the road again... this is becoming a habit! 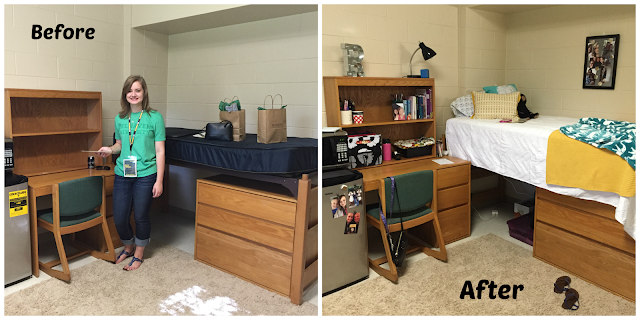 Yes, we are dropping Riley, our second daughter, off at college this weekend. I will post about it next week...until then prayers for this momma's heart would be appreciated! She will rock it. The verdict is still out on me! 2- On our various travels we got to visit with old friends who have opened a new Culvers franchise just a few exits away from the Kansas City airport. I love how our travels and our friends frequently cross paths! If you are in the area, stop by and say hi to them for us! 3- We finally made it to the Omaha Zoo. You know, because everyone says it is the best! It was on Riley's to do list before she left for college. We had a great day and are eager to go back when it is not quite so hot! 4- Our last trip (told you this was becoming a habit) took us back to the place of our first assignment, where our oldest was born! We had not been back there in 22 years, so it was fun to see how much had changed. And a few things that had not! 5- Proud bragging moment. 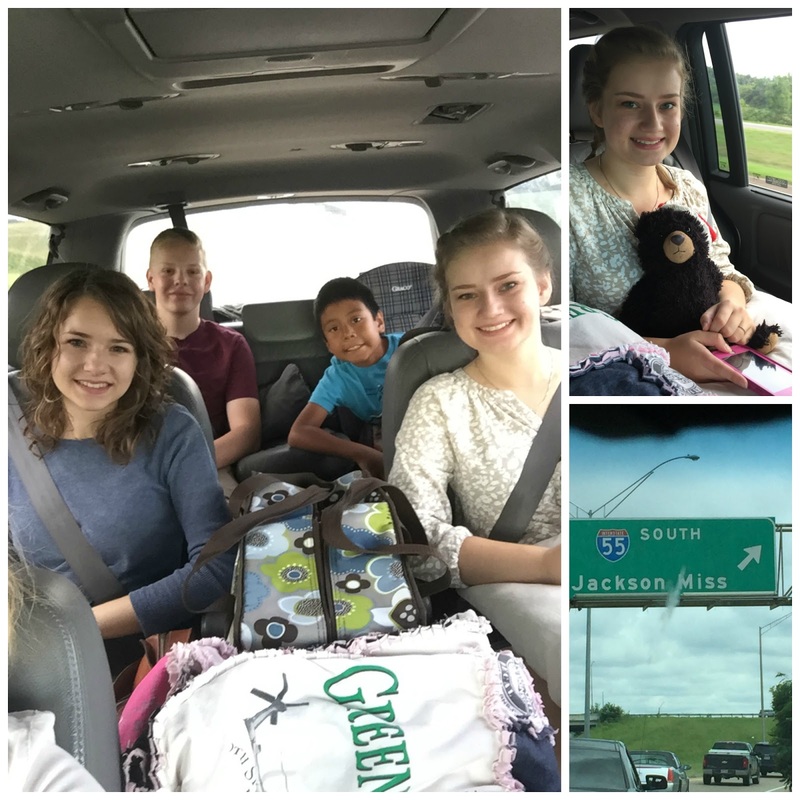 Ashton's quilt business, Ashton's Attic, is starting to take off and provide a living for her. Just this week she sold two! She is taking orders for Christmas now- be sure to get on her calendar! 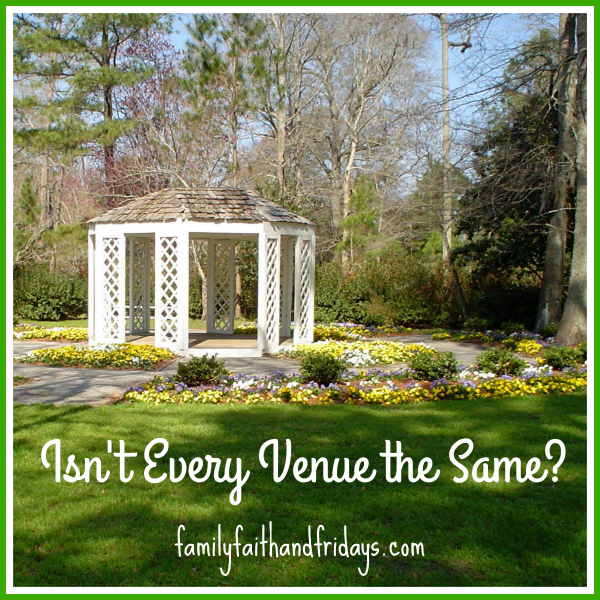 Isn't Every Venue the Same? I am so glad you asked. Why, no, they are not!! Have you shopped for a wedding venue lately? Oh my word! The choices! Churches, museums, barns, even the zoo! Basically, you can get married just about anywhere. For the right price. And IF it happens to be available the date you want. Yep, price and date. It pretty much comes down to those two things. Price, well, let's not go into that. And date, that gets a little tricky. What are you looking for? Do you want to get married in a church and have the reception there or have the reception elsewhere? 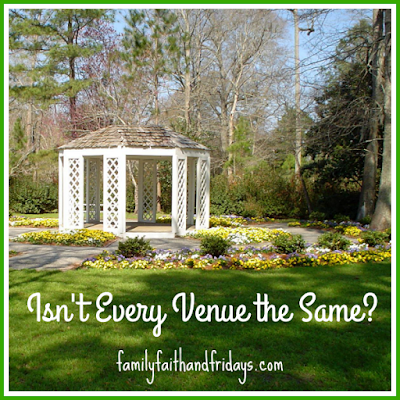 Do you want to have the wedding and reception in a different location? Can you afford it? You can get married in many churches for a small fee, especially if it is your home church. You can also pay THOUSANDS for some venues and "destination" weddings. Be prepared to write the checks! Can it hold the number of guests you expect? Will you have 50 or 500 attending? Does it have specific rules that you can or cannot abide with? Does the venue allow open flames, have a dress code, allow dancing, have security, or allow alcohol, just to name a few? If there are certain things that are important to you, ask now!! Is it local and convenient to get to? 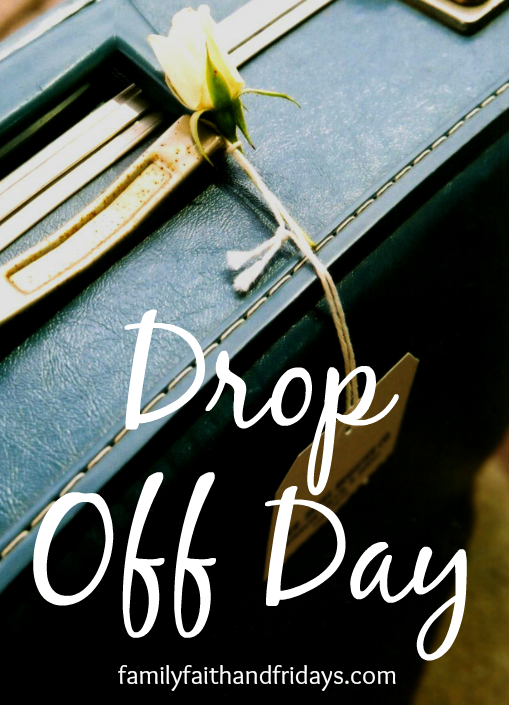 For you and/or for the majority of you guests, or is it easy for out of town guests to find? Does it fit your vision? Most brides have in the back of their head somewhere visions of their "perfect" wedding. Talking through those ideas is a good way to start to narrow down how you want things to look. Although I do not love Pinterest for much else, creating a "wedding" board with the look you want can help you and the people working with you be on the same page. If your desire is to have a country wedding, then a modern museum is probably not the best venue for you! I think it was a few years ago that I began color coding my kids' school supplies for the upcoming school year. I cannot remember where I first saw the idea, but it appealed to the artsy side of me. You know, the "I really want to be a good mom and teacher and cool in the kids eyes," but don't have a creative bone in my body thing. Finding matching notebooks and such, now THAT I could do! As for impressing the kiddos, well, I am not sure how impressed they were, but hey, they did like the fun colors. That being said, don't pick hard colors. Not every school supply comes in orange or purple. It's fun! If not for the kids, at least for mom! I know that some people stress about finding school supplies. I am pretty sure I would too if I was given a three page list of the things my kids needed. 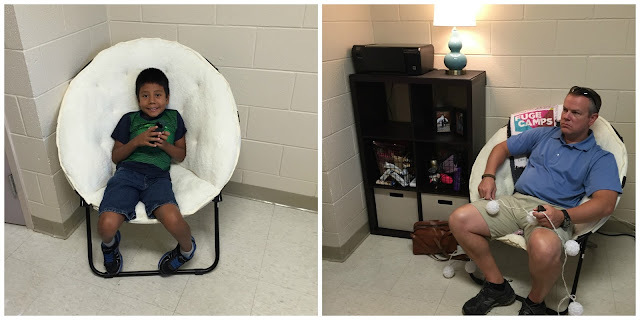 But hey, when you get to decide what your kids will use for the school year, it can be like a treasure hunt. Have a little fun looking for blue scissors or green tape dispensers! It helps you stay organized. When you are schooling multiple children, finding the right notebook to grade a child's work can get challenging. Even with just a few kids, the number of notebooks stacked up at the end of the day can be overwhelming. When I can narrow down the potentials by a simple glance of color, I am thrilled. I can further help myself out by making each of the notebooks in one color slightly different. Trust me, by the end of the year you will know that the 4th grader's math is in the blue Star Wars folder! It gives kids ownership! I don't know why, but there is just something about personalizing kids' things that gives them more ownership and therefore more responsibility for something. It's like adding their name to an item. All of a sudden it belongs to them and they take better care of it. Finally, that "mine, all mine" attitude is a good thing! 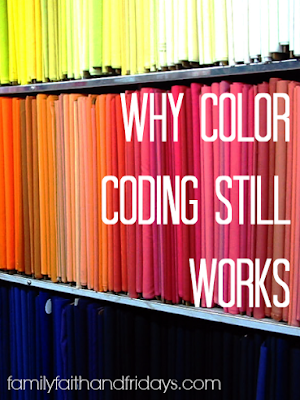 Just a quick disclaimer- color coding does not have to break the bank! With back to school sales, you can get notebooks for 17 cents each. Nothing in our piles was more than about $1! For $5 you can have a lot of fun! 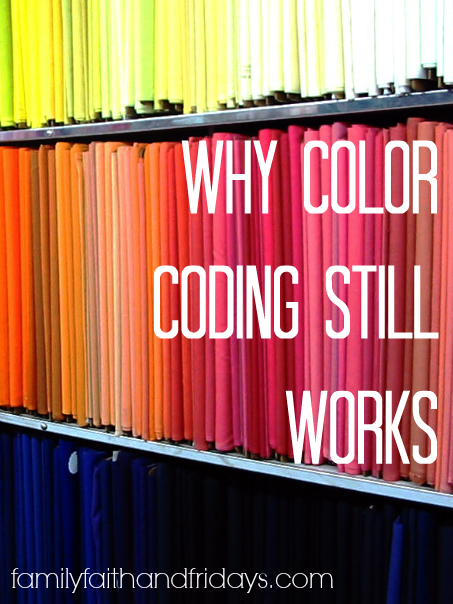 So color coding - simple, but effective! Hey, it's the little things, right? 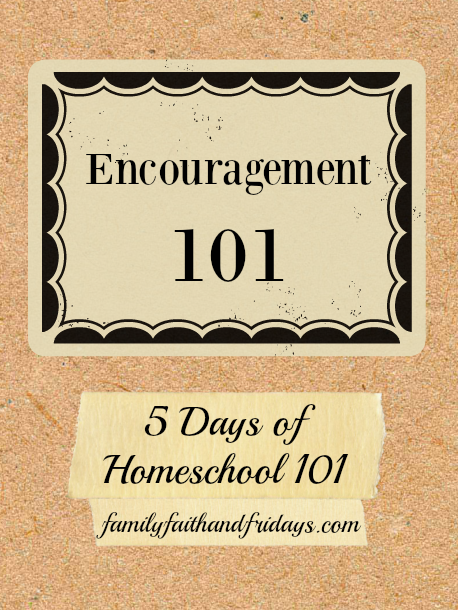 Welcome to our last day of 5 Days of Homeschool 101! Can I just take the liberty of addressing ALL the moms out there? After all, we are moms first and teachers second. Days can be hard, life has troubles. None of us, no none of us, have it easy. Just because you may not see it does not mean that others are not dealing with "stuff." We all have STUFF! So here is my simple encouragement to you. You are not alone! Ever. The Bible says there is nothing new under the sun. (Ecclesiastes 1:9) I believe this is true for many things, including our worldly problems. It may be new to you, but it is not new. Someone else has experienced it, therefore you are NOT alone! Someone cares! A spouse, a friend, a co-worker, someone. But more importantly, God. Really, He does. 1 Peter 5;7 says, "...casting all your anxieties on him, because He cares for you." School is just a little detail. Or work. Or that other problem you are dealing with. Whatever it is, it is not the end-all-be-all. Deal with what you can the best you can and move forward. In the end, most of the things we worry about are just mere seconds of our lives. Nothing is forever. Not the math problem you are trying to teach or the overwhelming problem you are facing. Not anything of this world. Only our faith in Jesus Christ and our submission to Him will allow us anything eternal. If this is your first year to homeschool, I would encourage you to have fun. Enjoy your time with your child and don't stress over the little details that don't matter in the end. 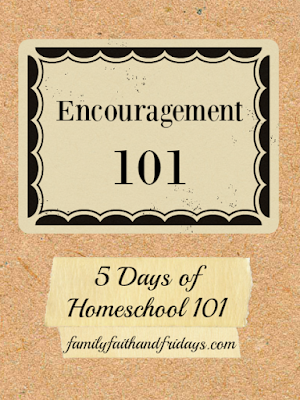 If you are embarking on what seems like your 100th year of homeschooling, let me cheer you on to finish the race strong. You are indeed making a difference in your child's life. If you are are not a homeschooler but need encouragement in some other aspect of your life, I am honored to be your personal cheerleader! Consider this your "you can do it" speech! If you need it to be more personalized, contact me and I will make that happen! Regardless of your needs- be encouraged! You are loved!